Flat ironing your hair at home not only saves your time and money that you would spend in a salon but also gives you a bunch of benefits besides straightening your hair (like you can use a flat iron to curl your hair). Well, but finding a good flat iron is not an easy job, that's also the reason why you're here, right? And we did this review just to help you choose the best flat iron on the market today! ​Every woman avoids the dreaded bad hair day. Unfortunately, every woman, unless you are a celebrity with a beehive of stylists at your beck and call, has had or will have bad hair at least once in their lifetime. Of all the bad things that could happen to you, wet, unruly hair makes it to the top of the list. Fortunately, it is not something to fret about. No situation is ever so serious when you have the best titanium flat iron by your makeup table. ​What Makes a Great Flat Iron? ​With all the names on the market, no one would blame you for getting confused. Few simple parameters make it easy for you to make your choice. One: the metal that makes the plates. The most popular are ceramic and titanium. We prefer titanium for its ability to straighten the hair without exposing it to too much heat. Two: Hair type - Each hair type, coarse, fine, or thick, have specific tools that work for them. 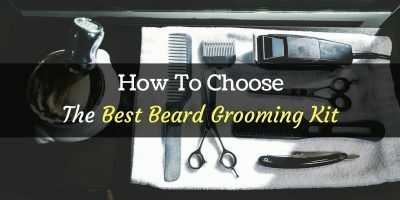 Now, this totally depends on the size of your hair as well as your styling needs. Typical 1-inch plates are the most popular, but they are only best if you had short hair. If your hair is thicker and longer, it would be better to choose bigger plates to save time on passes. ​Titanium is a metal with excellent heat conductivity, and it heats evenly. It allows for a minimal transfer of heat, which means that your hair suffers less heat damage. It also heats up quite fast when you turn it on, requiring you to make minimal passes, but giving you extremely straightened strands. ​When a titanium plate is infused with tourmaline technology, the results are amazing. Tourmaline technology makes it possible for the straightener to break down water molecules in the hair, to leave it shiny, sleek, and moisturized. It is, however, to note that since titanium heats up fast, you should be keen on the number of passes you make. Two to three would be enough, so pushing for more than that would damage your hair. ​This is what we think: a flat iron is an investment that will last you a while. We know people who have had theirs for 5 years. That said, do not be afraid to splurge a little when shopping for your hair. If you get an excellent brand that will not break the bank, good for you, but in some cases, cheap is expensive. ​As is known of titanium plates, this particular straightener heats up fast and therefore minimizes the number of passes you need to straighten your hair. The plates ensure even distribution of heat, making it possible to reach each strand with whichever part of the tool your use. It has three temperature settings, each of which is meant for particular hair types. The lowest level, 300, caters to fine-textured hair. 400 progresses to a slightly coarse type, while the last, 450, is for the coarse and thick kind. The titanium plates incorporate tourmaline, which leaves the hair well moisturized and sleek. This flat iron has smart settings: it shuts off automatically after 60 minutes of activity, to allow it to cool off. It also cuts off on its own after 60 seconds of rapid heating. The 9” cord makes it possible to swivel at 360 degrees while working on your hair, and to work from a reasonable distance away from your power source. It is compact for travel (weighs 12.3 oz), and the manufacturer even throws in a heat-resistant zip case. 1-inch plates are quite small for some hair types. ​We like the size of the plates. They measure 1.5 inches, which is a deviation from the usual 1 inch. This means that you get through your hair faster, especially if you have a thick mane. It also means fewer passes, which equal to less damage on your hair. Sadly, this feature also disqualifies this flat iron from curling. Bigger plates are a straightening than they are at curling hair. This straightener is a lightweight at 1lb. It also has a long 9’ cord to enable you to swivel as much as you want when doing your hair. It has multiple heat settings to cater for all hair textures. The nano-silver technology used in this flat iron deodorizes and sterilizes it. Additionally, the ionic technology in the plates helps break down water molecules in the hair, to prevent it from drying up. This tool is unique in that it has an inbuilt temperature control function that prevents it from overheating. This same feature prevents you from burning your hands when using it. It also has an FDN digital display for the temperature. 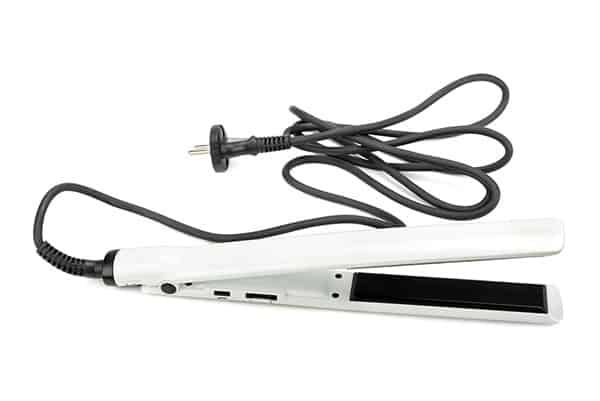 ​This sleek-looking flat iron is unique in its design, from the digital LCD display, to the temperature control. The 1-inch nano-titanium plates release negative ions to give your hair an enviable sleek finish, while retaining moisture. It also curls hair to submission. It has multiple temperature settings, varying from 170-450 degrees F. This variation makes it the ideal tool to work on fine hair as well as the coarse kind. The titanium plates heat up quite fast, which saves you the waiting time. Additionally, the fewer passes typical of this setting reduce the inevitable heat damage. When you turn it on but you do not use it for three seconds tops, this Kipozi Iron automatically shuts off. It has inbuilt controls to prevent it from shutting down when in use but the same cut-off happens when you take a long break. The digital display lets you know what temperature range you are using. The buttons are easy to operate, and the long, heavy-duty cord makes swiveling possible. 450 degrees F work excellently for thick and coarse hair. ​The long plates on this flat iron will have your hair straight in half the time. The mirror titanium plates are 4.5 inches, one of the longest of its kind on the market. Granted, this flat iron is slightly heavier than most at 1 lb, but certainly not heavy enough to make your hand sore. ISA professional flat iron has multiple temperature settings, going from 265 to 450 degrees F. The neon background LCD lights up in green and keeps track of the temperature. The extra long 9’ cord is heavy-duty, tangle-free and allows you to work from whichever position. It has inbuilt temperature controls that enable it to shut down automatically after 60 minutes of activity. It also adjusts its temperature to suit your hair type. Thanks to the ionic technology in the mirror titanium plates, this flat iron leaves the hair silkier than it found it. The plates are high quality and scratch-free, one of the reasons why the price is a little on the higher side. They are titanium, and hence distribute heat evenly. ​Some people swear by BaBylissPro hair products and with good reason. This particular flatiron is especially a special kind because it lasts so long. The titanium plates are such high quality that they do not scratch, even after years of use. The titanium plates have ionic technology, and so they help break down ions from the hair and distribute the moisture evenly, to leave the hair silky and healthy looking. Because heat distributes evenly, these plates heat up fast and only require minimal passes are required to straighten your hair. The plates are 1-inch wide and work well for curling. 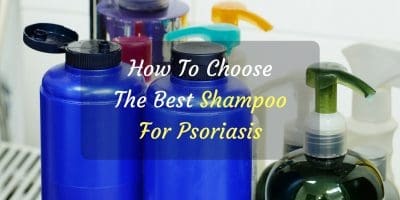 However, they are not the best for long or thick hair, as it would take you to long to go through it all. The plates heat up too fast. 1-inch plates take too long for thick hair. ​We only recommend the best products, which is why we always have a hard time selecting the best of the batch. In this review, we choose ISA Professional Titanium Flat Iron Digital Hair Straightener by ISA professional. The length and quality of the titanium plates impressed us. Good reviews, but I personally love my Karmin.